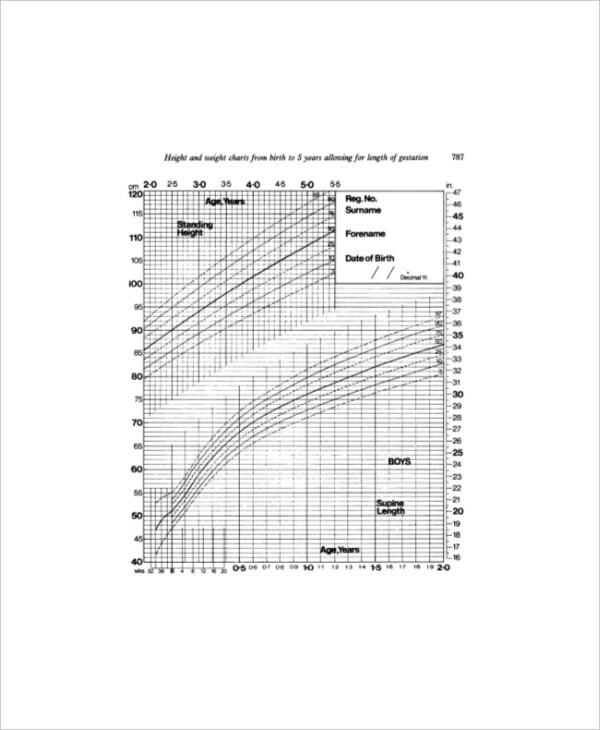 A height weight age chart shows what would be the target height and weight for an individual according to his or her age. Now, you should know here that the height and weight ratio will differ from one stage of life to another as well as gender. 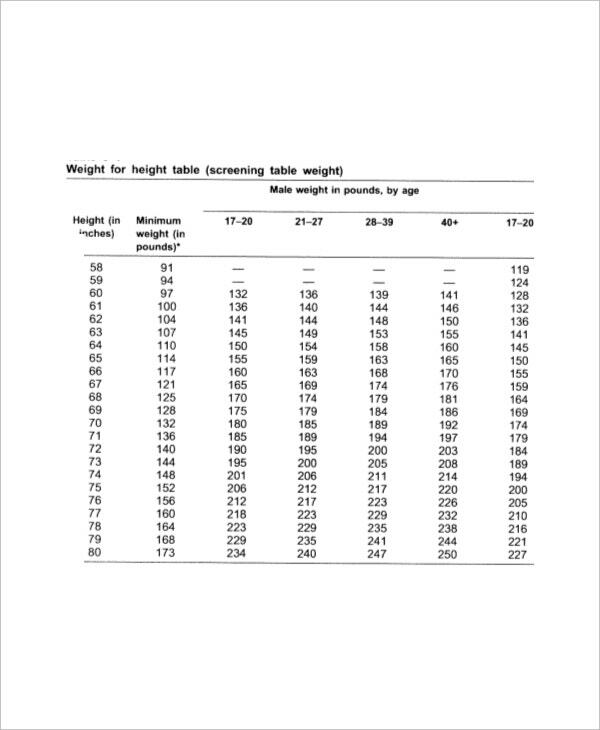 Just like that, a Height and Weight Chart Templates for men will differ from that of a chart for boys. There are also separate charts for male and female genders. 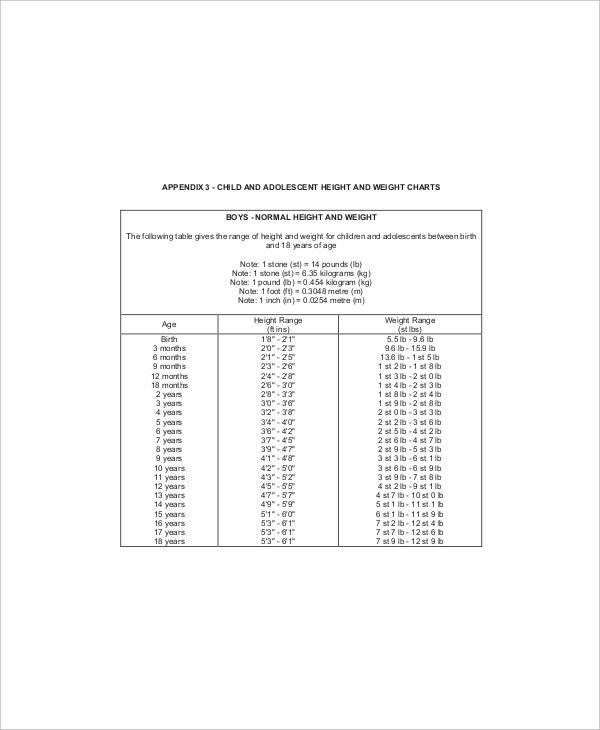 A height weight age Chart Templates example is crucial in finding out whether the individual has got any weight or height issue, with regard to his or her age or whether he or she needs to maintain the current weight status. In case you find any problem regarding your weight, in relation to your height & age, you can always ask your doctor for a checkup so that you can attain the desired healthy weight. 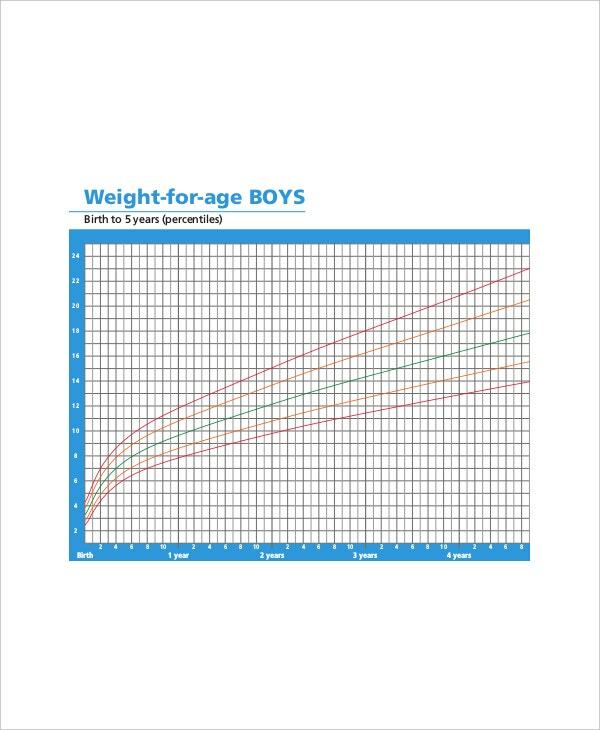 If you need help here, there are height weight age chart templates over the web to help you out. The height weight age chart for babies template will present the height and weight of babies as per age, for up to 2 years. 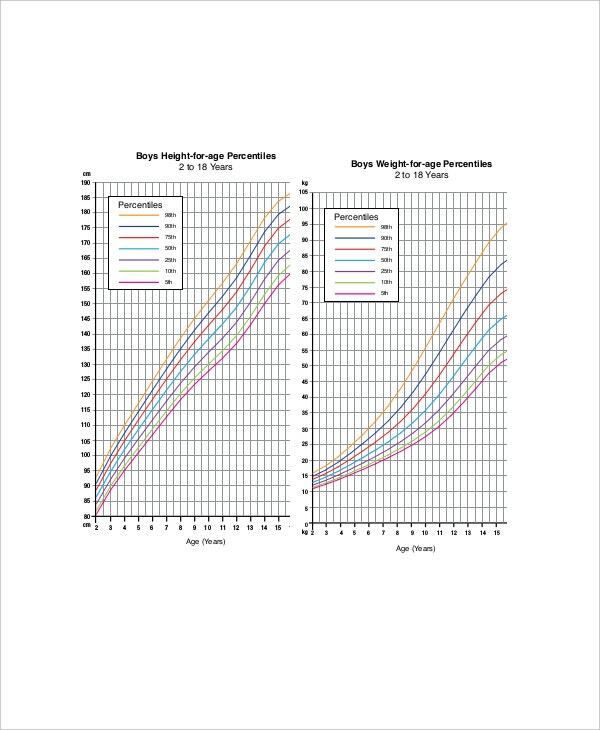 The height weight age chart for kids template will present the height and weight metrics of kids based on their age. The height weight age chart for adults template will show the height and weight metrics of adults based on their age. 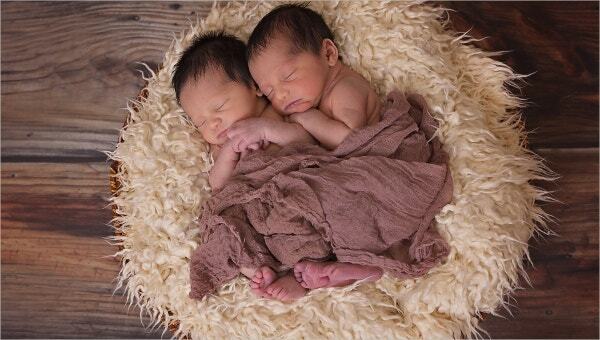 You can also see Baby Weight Gain Charts. A height weight age BMI chart template will calculate the unit of body fat in relation to age, height & weight. There would be separate charts for babies, kids, and adults. A height and weight chart by race template presents the ideal height & weight according to age, based on race. As mentioned earlier, you will have separate charts for male and female genders, whether it’s a chart for babies or adults. > Why Opt for Height Weight Age Chart Templates? One must be careful about his or her weight. It should be mentioned here that if a certain weight is considered healthy at a certain age, it might not be considered so at another age. 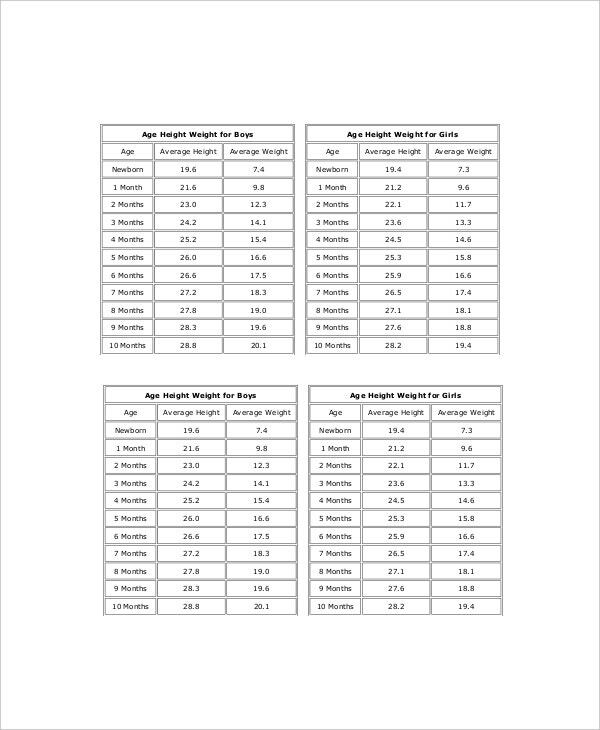 So, you always need to make sure that you have attained the desired weight according to your age and this is where the free Height Weight Chart Templates come handy with their pre-defined structures. 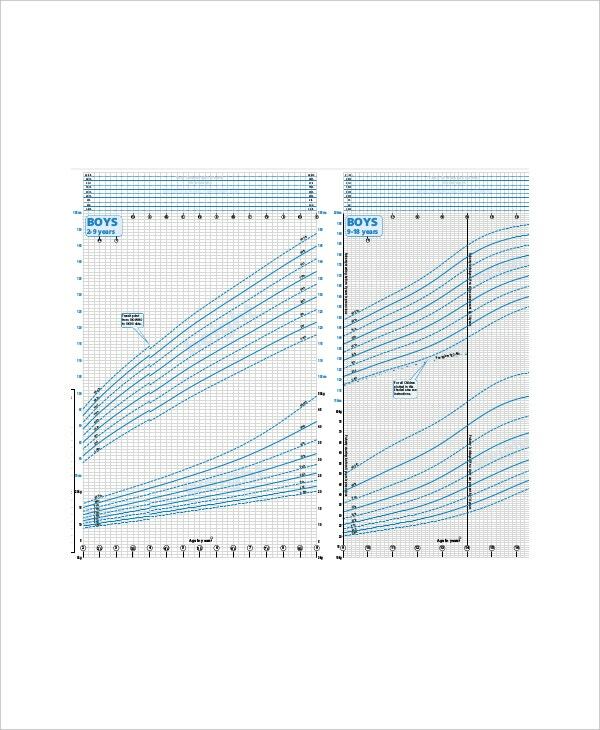 These templates are also helpful for physicians as they relieve them from going through the hard work of preparing such elaborate charts from scratch. With templates, you would just have to download and take a printout. If you are in quest of best Height weight age chart templates, template.net would be a great help no doubt, with its amazing expert-designed templates.